Gov. Greg Abbott said Monday that Texas would refuse Syrian refugees after a terrorist attack in Paris killed more than 120 people. "Given the tragic attacks in Paris and the threats we have already seen, Texas cannot participate in any program that will result in Syrian refugees — any one of whom could be connected to terrorism — being resettled in Texas," Abbott wrote in a letter to President Barack Obama. Cynthia Leigh, an immigration attorney in Austin, said advocates for refugees “deplore this sort of announcement.” But Leigh said Abbott’s move was likely legal because resettlement policies are at the discretion of local communities. Asked if individual states were allowed to bar Syrian refugees from being resettled, U.S. State Department spokesman Mark Toner said, "I don't have an answer for you. I think our lawyers are looking into that." 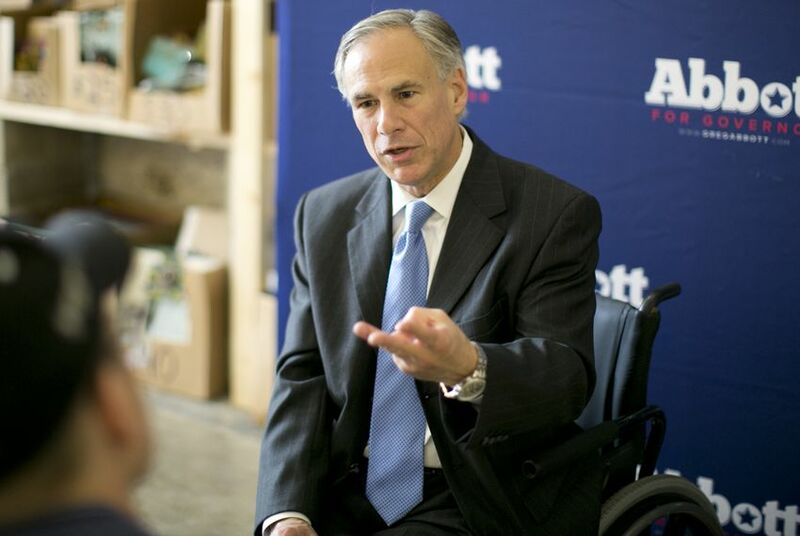 Abbott's announcement made Texas the third state to declare it would block Syrian refugees from resettling. The governors of Michigan and Alabama said Sunday that they would similarly prevent such resettlement in their states. Other states followed suit on Monday. In his letter, Abbott said ISIS posed a “very real” risk to Texas, referencing an attack last year in Garland where a security guard was wounded after being shot outside a Prophet Mohammed cartoon contest. ISIS claimed responsibility for that attack. In a similar statement on Monday, Lt. Gov. Dan Patrick commended the governor's actions. "We adhere to Judeo-Christian principles and stand ready to help those in need, but not at the expense of the safety and security of our own people," Patrick said. House Speaker Joe Straus on Monday took a more nuanced position, saying he agreed with Abbott’s “concern” and that refugees needed “thorough background reviews” in order to be placed in Texas. In September, the U.S. State Department announced it would accept 10,000 Syrian refugees next year. Thousands have fled war-stricken Syria, mostly to Europe, Turkey and Jordan, as the terrorist group ISIS has taken over much of the nation’s territory. Obama reiterated his support for accepting Syrian refugees at a press conference Monday morning. About 120 Syrian refugees have already been resettled in Texas this year. Refugees cleared by the State Department are assigned to one of nine national refugee resettlement organizations that place individuals in communities across the country, where local case managers help them resettle.